This will mark developer Crown Group's first venture into the US market and fourth major project with Sydney-based architects Koichi Takada. Previous projects include Arc, Skye, and Infinity, all located in Sydney. 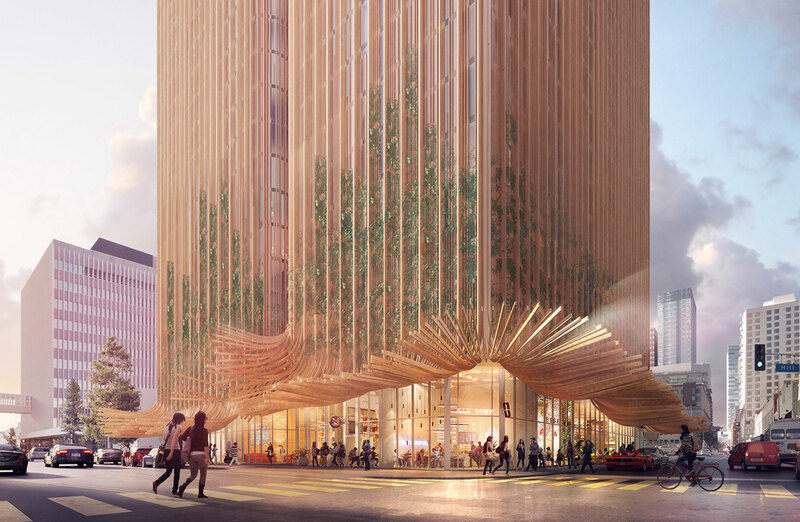 The ground level will feature a wave-like canopy for pedestrians in an attempt to challenge the car-dependant city to become a more walkable city. The architects said the tower would become the “healthiest place you can live in downtown LA” transforming the old existing warehouse district into a healthy and organic neighbourhood. “We want to humanize tall buildings, to celebrate the pedestrian activities and consider how people experience it,” Koichi Takada said. The project is one of many planned and under construction in L.A.’s South Park neighbourhood, which until recently, had been low-rise warehouses and commercial buildings. If realised, Sky Trees will be flanked by nearly two dozen towers new high-rise developments that have been proposed or completed along the north-south Figueroa Corridor. 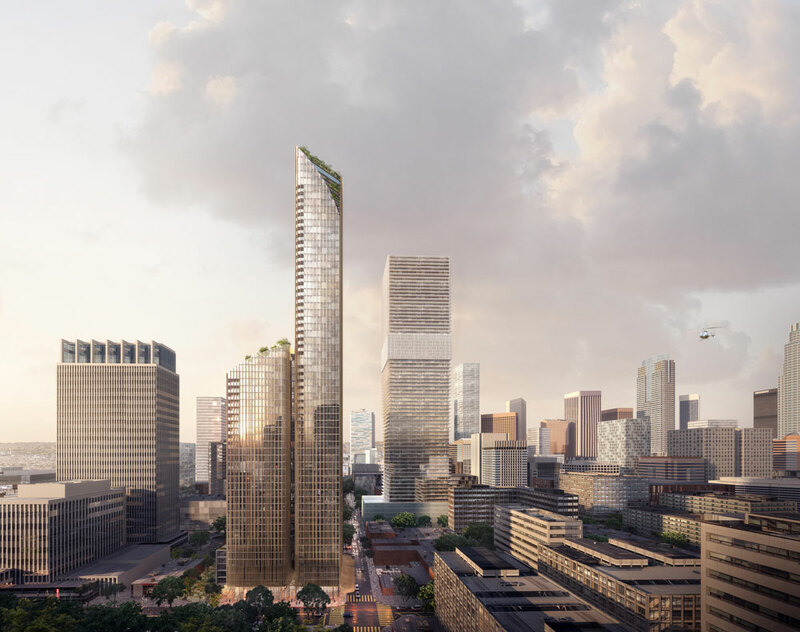 The current designs are currently before the City of Los Angeles after previous designs submitted for a 53-storey tower last year were retracted.